Aluminium Propellers we provide are created with exactness and a spotlight to every and each detail so the simplest is provided to the clients. These Aluminium Propellers are widely demanded in marine engineering, fossil oil and chemical industries. 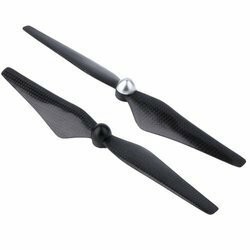 For high speed propellers, even the static balance is good, it doesn't mean that it could have a good effect under high speed. To guarantee the dynamic balancing performanceof all our high speed propellers, both dynamic balance and static balance test will be carried out before delivery. We are highly acknowledged organization engaged in presenting remarkable range of Industrial Propeller. Madras Marine Propulsion Systems Pvt. Ltd. Ideal for Home Decor, Office Decor, Souvenir, Memento & the like. Made from Imported Steamed Beech Wood, Processed on The CNC, Finished by Hand & Spray Painted to Perfection, This Piece of Art Definitely Creates its Mark. Available in Matt, Glossy & Metallic Finish. We also Undertake Bulk Orders & Customization. Manufacture of stainless steel Propellers (SS 316 Grade or CF8M Grade), For the marine application, in various sizes like 12, 13, 14, 16, 18, 34, 38, 40, 42, 44, 46, 49, 52 inches size as per national & international standards. 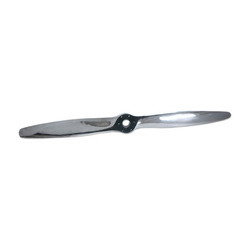 We manufacture gun metal propeller as per the patterns and specifications of the buyers. When Kaplan turbines are operating at full load or more or less constant flows it is mor feasible to save cost for the adjustment of the runner blades. In those cases the runnerblades are fixed at a certain blade position. ANDRITZ HYDRO has important installations of Propeller turbines in Africa and the USA. Color: Black , red , white , etc. Three bladed bronze propeller, Type P3B, suited to "displacement" craft with speeds up to 10 knots. Pre-machined for Vetus 25mm (SA25) shaft.